As of late May, there are 389 containers arriving in 6,801 consignments lying in ports for more than 90 days without being claimed by their owners. According to a Ministry of Finance circular, goods left unclaimed for more than 90 days at ports could be seized and sold. Cat Lai Port in HCMC has 307 containers and 448 parcels while Tansonnhat International airport and the express customs branch have 1,949 and 4,384 parcels. But related agencies impose restrictions on import of wastes, meaning customs authorities are unable to process their entry, so they were stuck at ports. 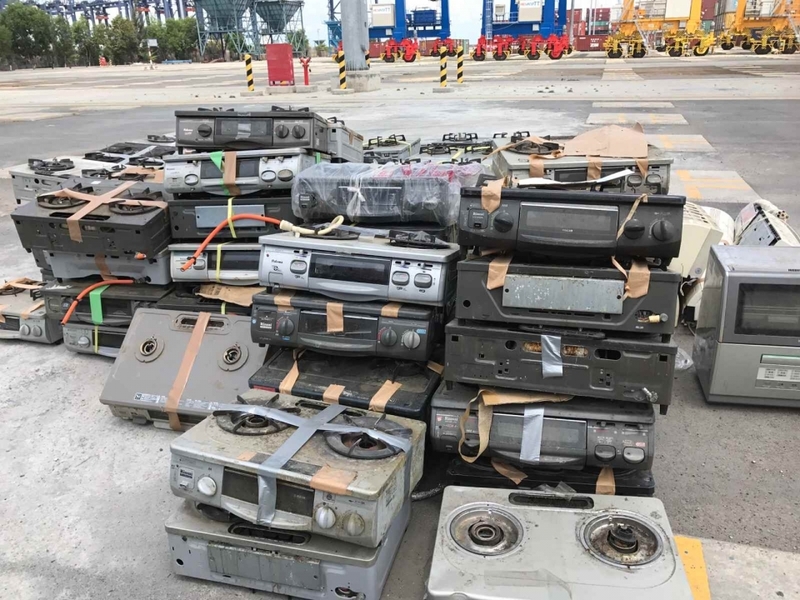 A recent examination of containers on an abandoned consignment at CatLai Port turned up more than 100 air-conditioners, 270 bicycles and bicycle parts. Most of them are used products whose imports are banned. For this reason, the department called for assigning greater responsibility to transport companies and exporters in the case of unclaimed goods since. The destruction also affects the environment. It sought severe punishment for import of waste and prohibited products into Vietnam to reduce the pile-up of goods at ports.